Why Neil Gorsuch shouldn’t speak at the Trump International Hotel. The justice’s speech at the Trump Hotel isn’t unethical. He should skip it anyway. Supreme Court Justice Neil Gorsuch speaks during a civics program showcase at the Ninth Circuit Judicial Conference in San Francisco on July 17. In her letter, Common Cause president Karen Hobert Flynn argues that Gorsuch’s speech may run afoul of ethics rules because it qualifies as both a fundraiser and a conflict of interest. On both these counts, Flynn is wrong. A close reading of the code confirms that the justice’s participation does not directly contravene any specific ethics rules. But if Gorsuch respects the broader principle of the rules, he should withdraw from the event anyway. The Trump International Hotel is a political haunt that attracts unscrupulous officials, dubious associates, and would-be cronies. And Gorsuch’s decision to speak there will only exacerbate understandable concern on the left that he is not fully independent of the president who appointed him. The line between a fundraiser and a party for donors can get blurry, as Justice Samuel Alito’s recent brush with this same ethics rule demonstrates. But this event obviously falls on the ethical side of the line. Flynn has a second charge: She claims Gorsuch’s participation in an event at Trump’s hotel creates an unacceptable conflict of interest. In particular, Flynn cites the multiple lawsuits alleging that Trump’s continued ownership of the hotel violates the Constitution’s Emoluments Clause. (Indeed, Washington, D.C.’s emoluments suit centers around the hotel, asserting that it draws business away from a taxpayer-owned property nearby.) Flynn implies, though does not state outright, that if one of these cases reaches the Supreme Court, Gorsuch might have to recuse himself. Again, Flynn’s analysis is not quite correct. The code demands “disqualification of a judge in any proceeding in which the judge has a financial interest, however small,” or where “the judge’s impartiality might reasonably be questioned.” Gorsuch has no financial relationship with the Trump International Hotel, and his appearance there does not implicate future partiality. The emoluments cases involve payments by a foreign state, not the members of a free-market group. 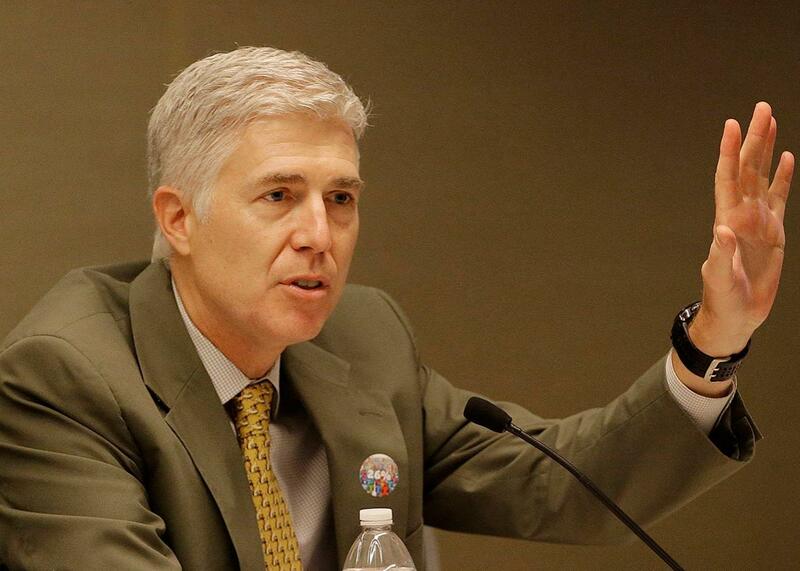 And besides, Gorsuch isn’t endorsing the hotel; he is merely appearing at a luncheon there. For better or worse, there are lots of luncheons at Trump’s D.C. hotel, and most of them are not designed to enrich the president. It would be unreasonable to insist upon the justice’s recusal should emoluments—or other Trump International Hotel–related litigation—ever reach the high court. I wish Flynn had added that Gorsuch’s involvement will create the appearance of partiality, because that is what’s really at issue here. The code does not unequivocally proscribe this kind of activity—but it does exhort judges to “act at all times in a manner that promotes public confidence in the integrity and impartiality of the judiciary.” Public confidence is already an issue for Gorsuch. The justice sits in a seat that is widely perceived to have been stolen. Dark money groups funded a $17 million campaign to keep Judge Merrick Garland off the bench and put Gorsuch on it. His chief dark money benefactor even attended his swearing-in ceremony. Following his nomination and confirmation, Gorsuch did not see fit to say a cross word about the unprecedented Garland blockade. And so far, Trump’s justice has voted exactly how the president would want him to. Gorsuch joined the court under a cloud of suspicion that he is biased at best and corrupt at worst. He has done little to allay these fears, and his speech at Trump’s hotel will heighten them. No, Gorsuch was not legally obligated to decline the invitation. But he must know that the “swamp hotel” has become a symbol of Trump’s presidential profiteering and that his appearance there would undermine confidence in his neutrality. Apparently, however, he did not care—and that is what’s most disturbing about this episode. Gorsuch has little interest in combating his image as an unscrupulous opportunist. His appearance at the Trump International Hotel is not technically unethical, but it is imprudent and injudicious. For the court to exercise its constitutional powers, the justices must have the public’s trust. And trust in Gorsuch is already in short supply.